The Russian Presidential election is over now, and the outcome was as expected. In the course of the election campaign, independent Russian journalists showed how different kinds of state propaganda were used in Russian media to support both a high turnout and solid support for Russia’s incumbent President, Vladimir Putin. Russian election propaganda ran in two parallel tracks. On the one hand, aggressive messaging targeted foreign states, reinforcing a narrative of Russia as strong and powerful. At the same time, independent journalistic investigations claimed that state-controlled media received instructions to tone down the most alarmist elements of their traditional rhetoric about Russia itself. On top of this two-track approach, the Crimea annexation anniversary, which coincided with the election day, was used to reinforce a sense of national pride, playing on the well-known emotional and disinformation-based narrative about Crimea’s “homecoming” to the Russian Federation. In the immediate eve of the election, two major events relevant to Russia’s relationship with the rest of the world attracted both national Russian and international attention; both of these cases were utilised to support a war-like narrative of Russia as strong and even dangerous on the international scene. In Putin’s national address on 1 March, the President chose to put new Russian nuclear weapons on display. As we described in our analysis, independent Russian journalists found that an animated video sequence, which showed how one of Russia’s allegedly new nuclear weapons attacked the US State of Florida, appeared to be identical to an animation produced 11 years ago by the Russian state TV. 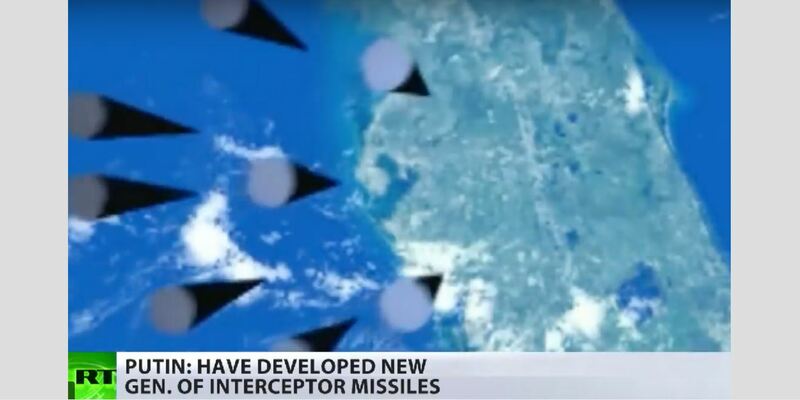 President Putin showed an animation depicting a Russian nuclear weapons on the US State of Florida as a part of his annual address on March 1. The poisoning of the ex-spy Sergey Skripal, his daughter, a police officer and others in Salisbury in the UK also supported the propaganda agenda in Russia, reinforcing a disinformation narrative about Russian leadership having almost limitless power. 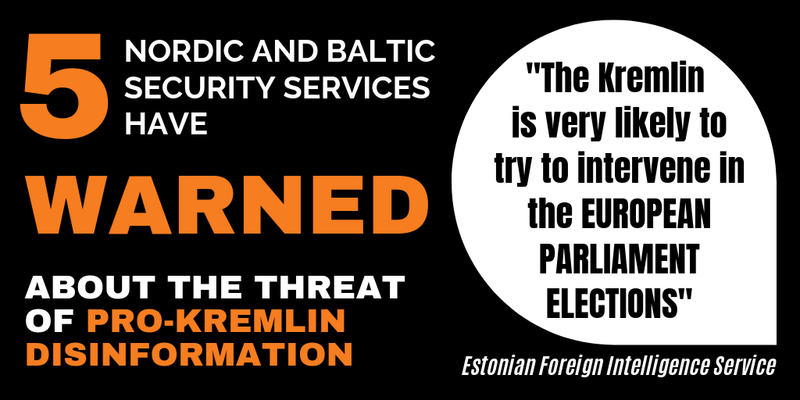 Follow this link to read the Disinformation Review with our analysis of the first wave of pro-Kremlin propaganda following the Skripal poisoning, including the disinformation narrative that the incident was a provocation by the West ahead of the Russian presidential election on Sunday. Both the Skripal case and the nuclear weapon sabre rattling inscribe themselves in the overall pro-Kremlin narrative of Russia as a besieged fortress, whose leaders fight back in the just cause of defending the nation. Below Russian cartoonist Sergey Elkin illustrates what he sees as the Russian President’s double speak about the Skripal poisoning, with one disinformation narrative targeting the West and a completely different propaganda narrative tailored for domestic Russian audiences. 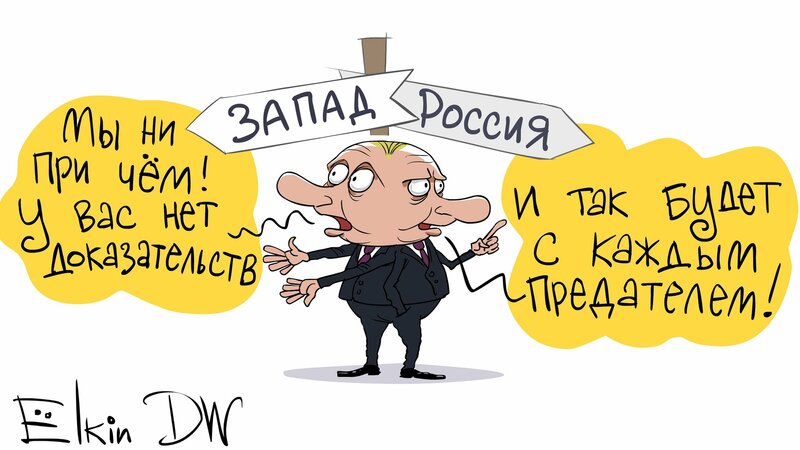 To the West: ‘We have nothing to do with this!” To Russia: “And this is what will happen to every single traitor!’ Sergey Elkin for DW Russian Service. 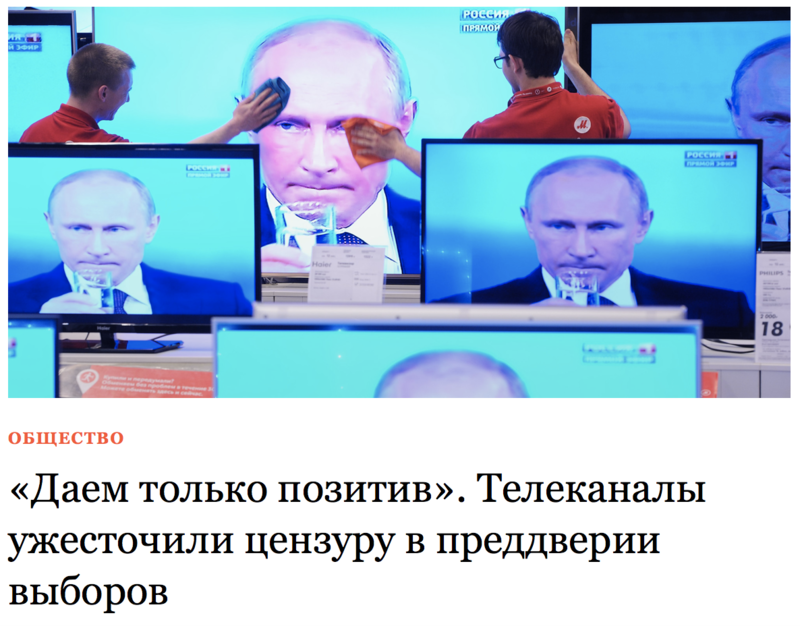 In an article published by the independent Russian outlet The Insider, journalists working for the dominant state television stations describe the political instructions received by the network’s management for the period of election campaigning. The overall message from The Insider’s sources, who all spoke under anonymity, was that Putin was to be talked about as the country’s President and not as a candidate, and that news items should not include references to the President alongside other candidates. Together with the already established tradition that Putin never appears in debates with other candidates, these guidelines create an overall narrative of the incumbent President in a league of his own, and not comparable to other candidates. 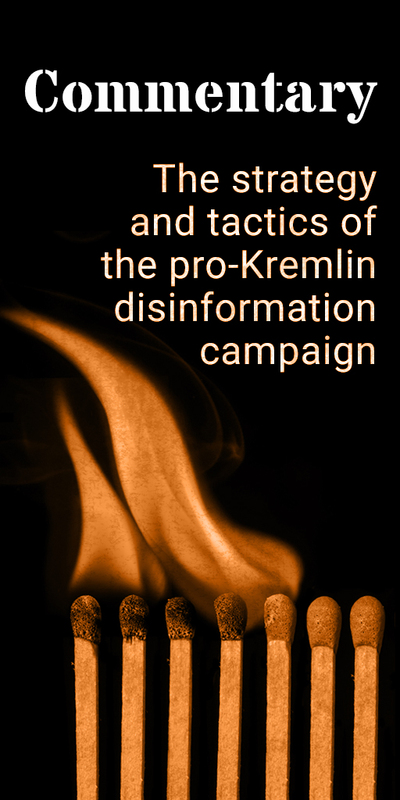 The Insider’s sources also told that TV channels allegedly received instructions to tone down alarmist messaging about potential instability inside Russia, which is often presented by TV channels such as NTV and REN-TV in the form of disinformation about conspiracies between Russian NGOs and foreign politicians and diplomats. This enabled a contrast to be portrayed between an insane world and Russia as a protected place. “We only broadcast positive stories”. The independent Russian online outlet The Insider reported about “tightened censorship” on Russian television ahead of the Presidential election. While the outcome of the election was a foregone conclusion, one surprise came in April 2017 when Russian legislation was amended, allowing the election day to coincide with the anniversary of Russia’s annexation of Crimea. With this move, Putin’s fourth term becomes tied to sentiments of national pride in the highly emotional, state-supported disinformation narrative about “our” Crimea “coming home” to Russia. At the same time, the choice of Crimea as an emblem of the election heightens stakes in Russia’s relationship with the international community: Most states in the world, including the EU Member States, do not recognize Crimea as Russian, and for that reason also do not recognise the part of the Presidential election which took place there. Vote – or be gay!